Another Wallace Triangle project! Once on the verge of destruction, us crazy kids decided we needed something challenging. And boy did we find it. 11 months later and lots of blood, sweat, and definitely some tears, we are proud to introduce a finished Mint Chocolate Chip home. Click through the photos and let us know what you think! Right smack dab of the middle of Wallace Triangle neighborhood, Baby Blue sits, perched up on a small hill as if its trying to reach towards heaven. Built in 1930, this home was vacant for many years. Yet mostly intact with original trim, doors and flooring, this home was in serious need of renovations. So, renovate we did. New kitchen, bathrooms, layout, exterior work, garage work, etc… No stone unturned as we build this home from the bottom up. Hop, skip and a jump away from Columbian Park Zoo, Water Park and Lafayette Aviators Baseball Stadium. This is a great home on a double lot with a fenced in back yard and 2 car oversized garage. We've totally rehabbed he home with new bamboo flooring, painted cabinets, upgraded countertops and new paint throughout every room. It's quant and cute and ready for you. At Shady Creek Ranch, you'll have 7 acres to make it your own personal oasis. Intersecting your 7 acres is a beautiful stream that runs through the property. 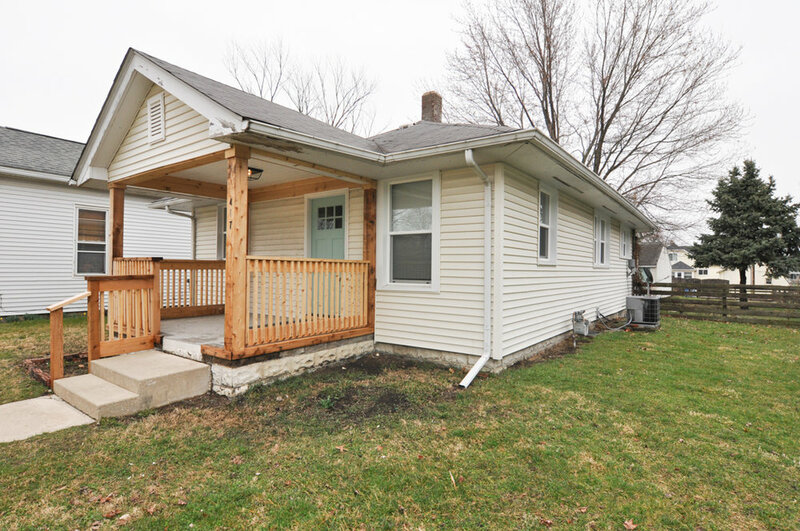 Getting past the large yard and outbuilding you'll find this neglected bi-level home. This 4 bedroom, 3 bath home is poised for a fresh update all throughout. Our plan for this home is to add a bedroom (making it 5 bedrooms), gut and update bathrooms, kitchens, new deck, added front porch and of course, a 2 car built on garage to house all that horse power. Stay engaged as we continually update social media and our website with where we are at in this journey. Cozy Cottage on S. 10th St. Originally built in 1867 this home predates even Purdue University! Although outdated and not the style of 95% of the people looking for new homes, this home was built solid and ready for an update. We did just that. Check out the photos of our very first flip!